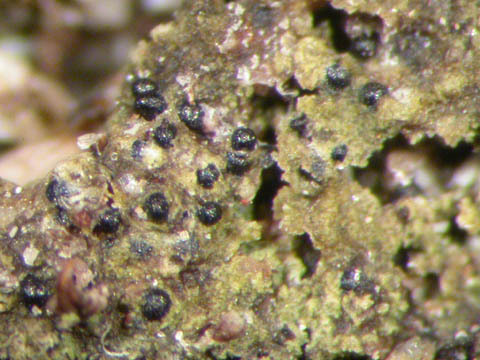 On calcareous soil, over lichens, mosses or detritus, often in Mesobromion or Xerobromion communities, also in crevices of hard calcareous rocks. Belgium: Mosan: AR, Ard. : RRR, Lorr. : RRR. Lit. : Ertz: 18, L8: 8-13.